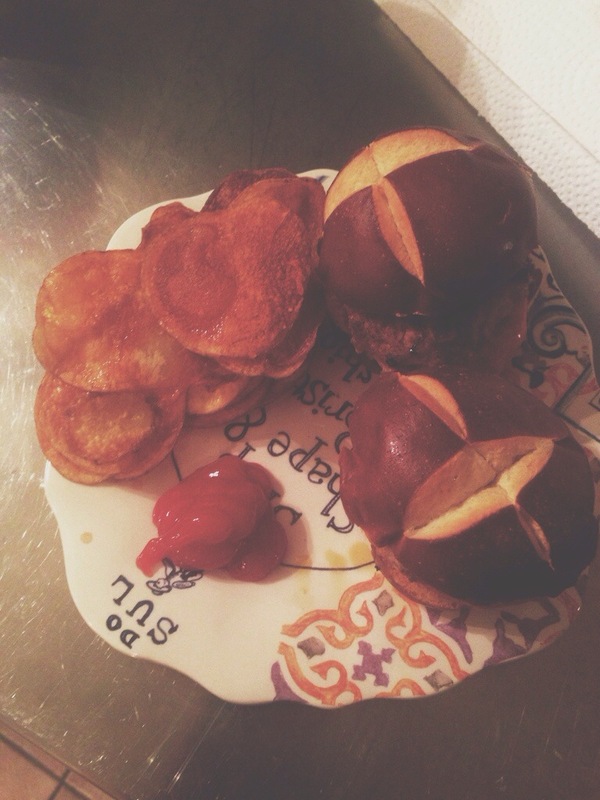 When I was buying the ingredients for the paella party, I found these adorable pretzel slider buns. I decided to up the spice on our typical turkey burgers by adding a lot of cayenne pepper. I also added minced scallions to the turkey meat. For the chips, I sliced them thinly, tossed with olive oil and salt and then deep fried them. Such a good weeknight meal. I skipped the coriander. Yum and yay for lunch tomorrow!